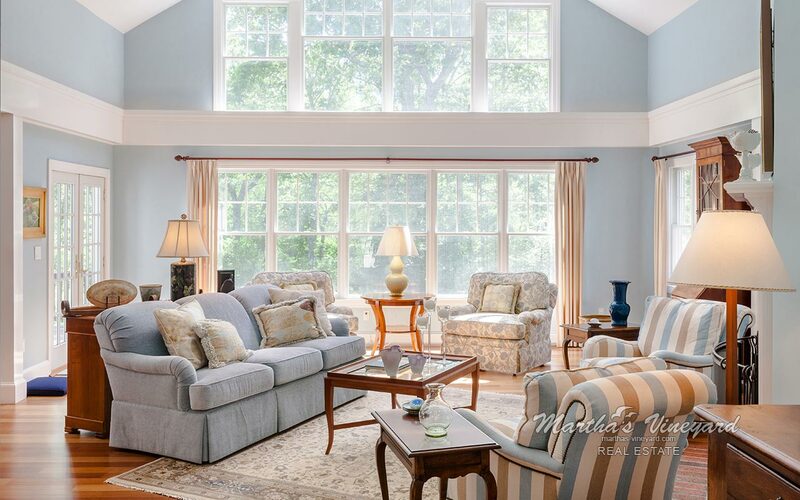 This beautifully designed and appointed Contemporary Colonial is tucked away on a very private 9.2 acre setting directly on Janes Cove, Edgartown Great Pond with private association south shore beach and tennis courts. Waterviews throughout. Enter the property to the circular drive in front of the Main House.This wonderful House offers a spacious great room/living room with vaulted ceilings, 5 ensuite bedrooms including first floor master with fireplace, sunroom/parlor, family/media room, office/bedroom and finished basement with sauna and full sized recessed wine cooler. There is a separate two car garage with lovely one bedroom apartment above. Natural landscaping, apple trees, children's play area. Floor 1: Enter into the Main House foyer. Straight ahead to a spacious living room with very high vaulted ceilings,low & high windows and brazilian cherry floors. Wood burning fireplace. 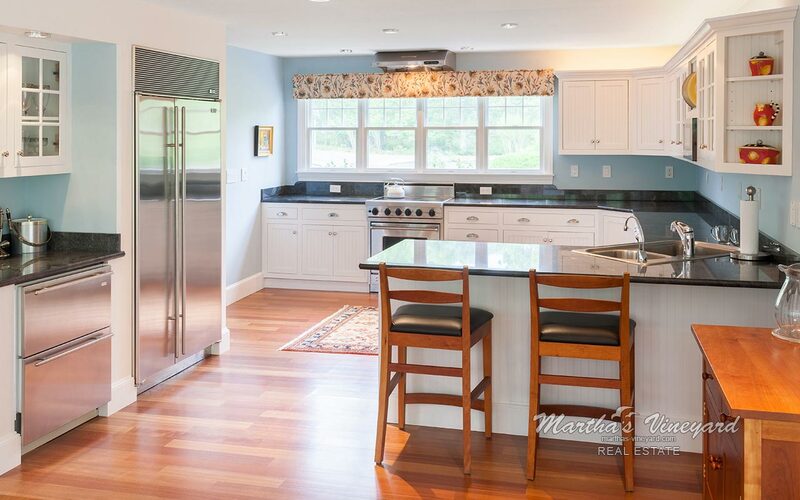 French doors open to back deck facing Jane's Cove, Edgartown Great Pond. Private pathway to the water from the backyard. To the right of the foyer is a Queen Master bedroom with fireplace. White plantation shutters, large walk in closet. Bathroom with soaking/jacuzzi tub. There is also a spacious front facing private office/bedroom. Dining area off the Living room facing the back deck with many windows and glass door access. Gourmet Kitchen is facing the front of the house and adjoins the dining area. Viking Stove, Granite countertops, Large side by side stainless refrigerator. Separate small stainless refrigerator with drawers. Trash compactor. Good sized hall pantry . Wide hallway with light bamboo flooring leads you from the dining area past a sun room/parlor with recessed lighting and fireplace to a second living room/media room with lovely seating area, fireplace and wet bar and window seat facing the backyard. Windows all along the hallway facing the backyard and pond. At the end of the first level there is a stair up to a private King Master Bedroom with fireplace and private bath. Great waterviews from this level. Floor 2: Stairway with white beadboard/wainscotting on the right hand side of the house. There is a sitting area/foyer on the 2nd floor level. with front facing window seat. 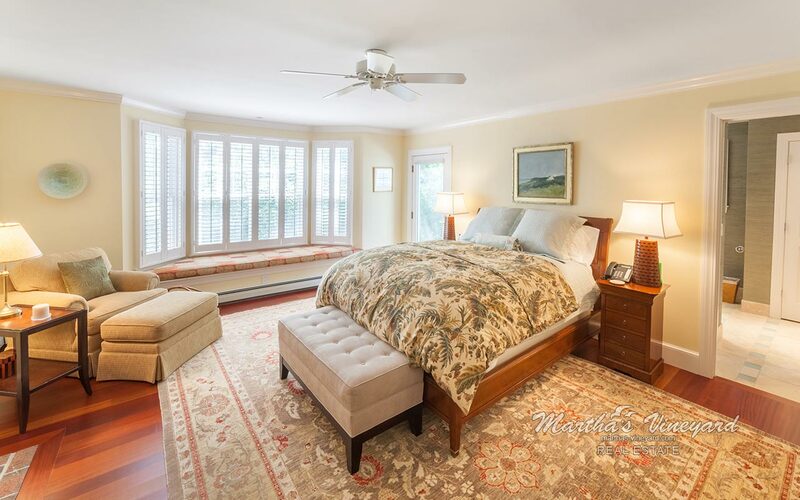 This level offers a King Bedroom with berber carpet ,large closet. and private bath. 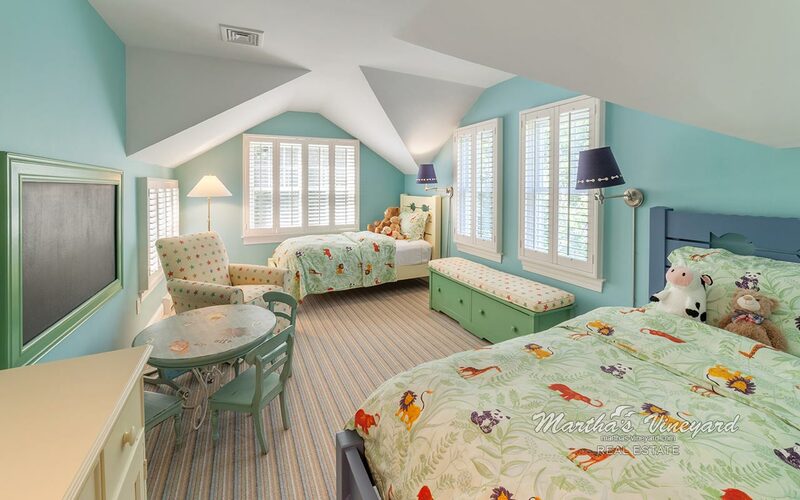 Queen bedroom with two large closets and private bath and Childrens Room with two twins, whimsically decorated with private bath. 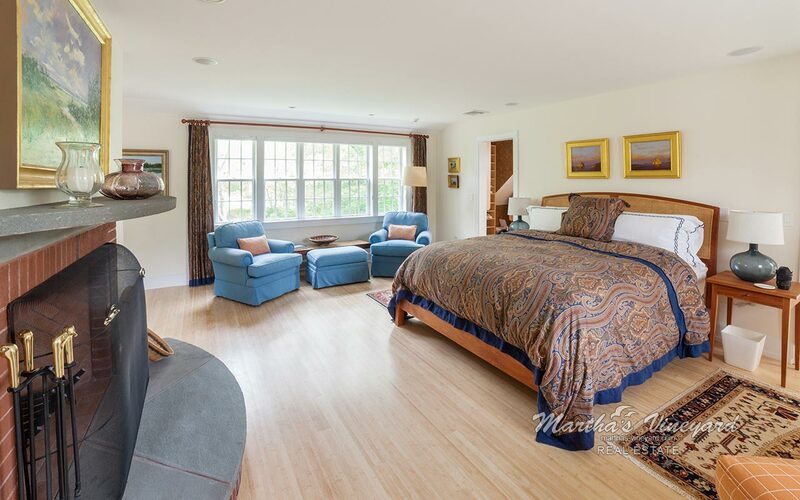 Additional King Master Bedroom with fireplace and private bath on the second floor accessed by it's own stairway. Basement: Finished basement with comfortable seating and 6 person light wood and glass sauna and lovely recessed wood trimmed wine cooler. Cedar closet. House Generator. Alarm system and mechanicals.